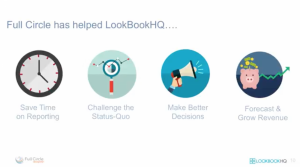 With ambitious growth goals, LookBookHQ (now called PathFactory) needed a robust lead lifecycle process with clearly defined funnel stages to easily report on the conversion rate and velocity of various subsets of their marketing database. 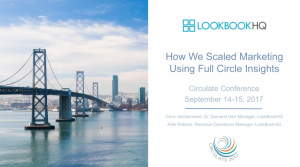 Presentation by Chris Vandermaral, Sr. Demand Gen Manager and Adel Ratansi, Revenue Operations Manger, LookBookHQ at Circulate 2017. Join this session to learn how LookBookHQ gained insight on that and much more.